At least 73 people were killed and 1,000 injured in a riot at a soccer match in the Egyptian city of Port Said, the worst disaster in the country's soccer history. 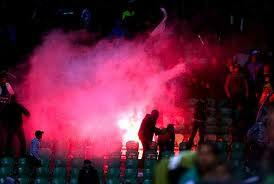 The game was between Al Ahli, one of Egypt's most successful clubs, and al-Masry, a team based in Port Said. Singer-actress Selena Gomez says she "completely wasted" a year of her life on an ex-boyfriend. The 19-year-old, who has previously dated Taylor Lautner and Nick Jonas, didn't enjoy being in a former relationship which meant she had to "hide everything" and do the "craziest things". "I was in a relationship previously where I had to hide everything and it wasn't my choice," showbizspy.com quoted Gomez as saying. "I had to go through different exits and take separate cars and do the craziest things, and it just really wasn't worth it. It was like a year of my life completely wasted," she added. Everyone is talking about the sizzling chemistry between Liverpool lass Amy Jackson and Mumbai ka chokra Prateik Babbar. Unlike other fake 'encounter specialists' which emerge everytime a new pair is introduced in a love story, the Amy-Prateik chemistry in 'Ek Deewana Tha' is for real. The entire unit vouches for the twosome being absolutely smitten with one another. Do we see Smita Patil smiling down from heaven? Says director Gautham Menon, "Our film is getting a positive vibe. People are saying the lead pair is looking good together." And to think it could have been Ranbir Kapoor romancing Amy in 'Ek Deewana Tha'. Gautham Menon is one of Tamil cinema's leading lights of filmmaking. But in Mumbai Ranbir Kapoor doesn't know him, nor wish to work with him. Apparently when Menon wished to approach Ranbir for his new Hindi film, the star refused to meet him. Embarrassed to talk about his failure to connect with the Kapoor star the hurt and angry Menon, who has worked with the likes of Kamal Haasan, Madhavan and Suriya in the South, finally admits, "Ranbir was my first choice for 'Ek Deewana Tha'. I tried to get in touch in with. Forget about meeting Ranbir. I couldn't even meet his secretary. Yes, even the secretary refused to meet me." This is when Gautham turned away, his pride and dignity seriously challenged, to sign Prateik for the film. Says Menon, "One reason why I've taken 11 years to make my second Hindi film is because I am comfortable working with the stars in the South, as they are with me. In Mumbai, I feel like a stranger. In fact I've had a number of offers to direct Hindi films. Vipul Shah wanted me to do the Hindi adaptation of my film 'Kaakha Kaakha'. I declined the offer. Nishikant Kamat directed the remake 'Force'." Now after his bitter experience with Ranbir Menon has become even more wary of Mumbai and its stars. Menon can take solace in company. Increasingly a wide spectrum of director are complaining about how inaccessible Ranbir has become. Sudhir Mishra wanted to cast Ranbir in 'Driver' . He's been waiting for months for a meeting. Raj Kumar Santoshi wanted to do a sequel to 'Ajab Prem Ki Ghazab Kahani' with Ranbir. Katrina Kaif was willing. Ranbir was not. Incidentally, Ranbir loves romancing half-foreigners on screen: Katrina Kaif in 'Ajab Prem Ki Ghazab Kahani', Sarah Thompson in 'Raajneet' and Nargis Fakhri in 'Rockstar'. Wedding of Bollywood actors is news of public interest and thus an overdose of speculation is guaranteed. News of Rani Mukherjee getting married every six months, John Abraham getting secretly married every now and then is common. 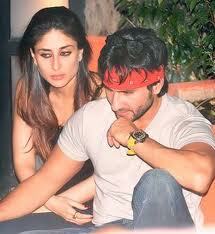 Kareena-Saif marriage is another 'popular news'. Its now said, the two are planning to get engaged on Feb 10. The day will also see the release of Kareena's film 'Ek Main Aur Ekk Tu'. When we met up Kareena a few days back, she told TOI.com, "Yes we are definitely thinking of marriage but it all depends on our film commitments. I am busy promoting Ek Main Aur Ekk Tu, then Agent Vinod and also shooting for Heroine. So all depends on when's the right time." The actress also denied of Ritu Kumar designing her wedding outfit. "That's not true" she said. The wedding news has put both Saif and Kareena in spotlight. "I am only asked about the marriage. No one seems interested in our films anymore" laughed Kareena.